Reed Switch Characteristics - Misensor Tech (Shanghai) Co.,Ltd. A Reed Switch consists of two ferromagnetic blades (generally composed of iron and nickel) hermetically sealed in a glass capsule. The blades overlap internally in the glass capsule with a gap between them, and make contact with each other when in the presence of a suitable magnetic field. The contact area on both blades is plated or sputtered with a very hard metal, usually Rhodium or Ruthenium. These very hard metals give rise to the potential of very long life times if the contacts are not switched with heavy loads. The gas in the capsule usually consists of Nitrogen or some equivalent inert gas. Some Reed Switches, to increase their ability to switch and standoff high voltages, have an internal vacuum. The reed blades act as magnetic flux conductors when exposed to an external magnetic field from either a permanent magnet or an electromagnetic coil. 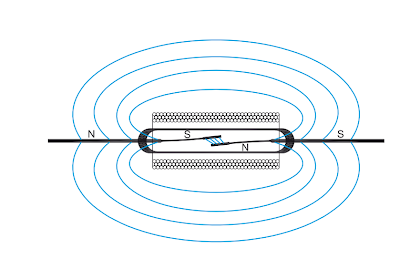 Poles of opposite polarity are created and the contacts close when the magnetic force exceeds the spring force of the reed blades. As the external magnetic field is reduced so that the force between the reeds is less than the restoring force of the reed blades, the contacts open. normally open switches), etc. A normally closed (N.C.) switch is described as a 1 Form B. A switch with a common blade, a normally open blade and a normally closed blade (see Figure # 2) is described as a 1 Form C (single pole double throw (SPDT)). The common blade (or armature blade), the only moving reed blade, is connected to the normally closed blade in the absence of a magnetic field. When a magnetic field of sufficient strength is present, the common blade swings over to the normally open blade. The normally open and normally closed blades always remain stationary. 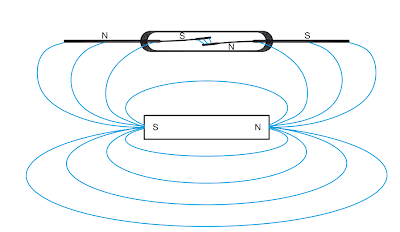 When a permanent magnet, as shown, is brought into the proximity of a Reed Switch the individual reeds become magnetized with the attractive magnetic polarity as shown. When the external magnetic field becomes strong enough the magnetic force of attraction closes the blades. The reed blades are annealed and processed to remove any magnetic retentivity. When the magnetic field is withdrawn the magnetic field on the reed blades also dissipates. If any residual magnetism existed on the reed blades, the Reed Switch characteristics would be altered. Proper processing and proper annealing clearly are important steps in their manufacturing. (Figure #1. The basic hermetically sealed Form 1A (normally open) Reed Switch and its component makeup). (Figure #2. The basic hermetically sealed Form 1c ( single pole double throw ) Reed Switch and its component makeup).